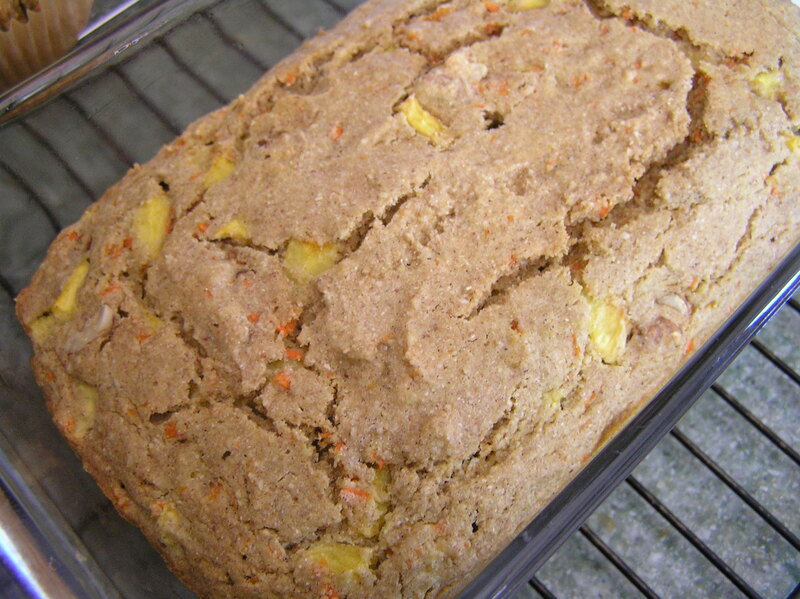 If the father in your family prefers a continental breakfast, bake this great tasting loaf. It goes well with coffee and tea! In a large bowl mix flours, sugar, cinnamon, ginger, baking powder, baking soda, and salt. Set aside. In a separate bowl mix grated carrots and peaches. Set aside. In a separate bowl mix eggs, coconut milk, vinegar and coconut oil together. Add egg mixture to flour mixture and fold gently (mixture will be very thick). Add carrots and peaches and chopped walnuts. Mix lightly. Transfer to two, 9 x 4 loaf pans and bake at 350 degrees for 45 minutes.